Not only were we able to play with elephants at Elephant Nature Park and send off New Years wishes with magical lanterns, but we were able to do a few more fun things in Chiang Mai that helped make it one of our favorite Asian cities. 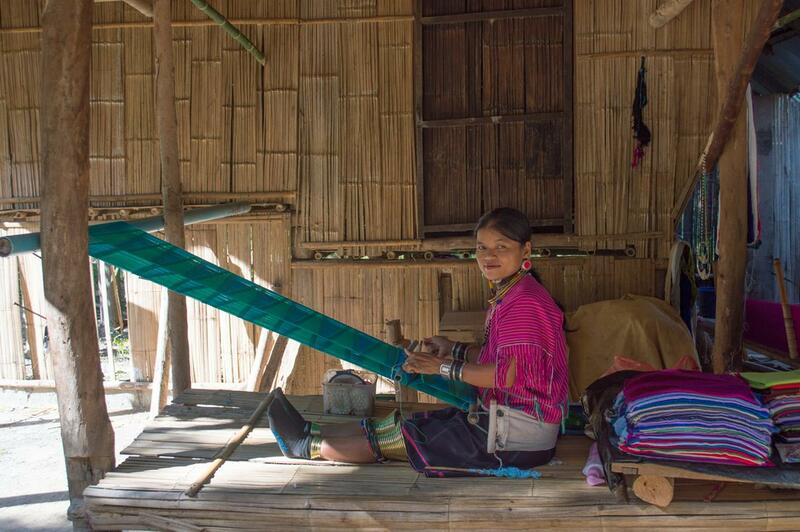 There are tribes living in the mountainous regions bordering Thailand and Myanmar that we paid a visit to to see and learn about their traditions and customs. 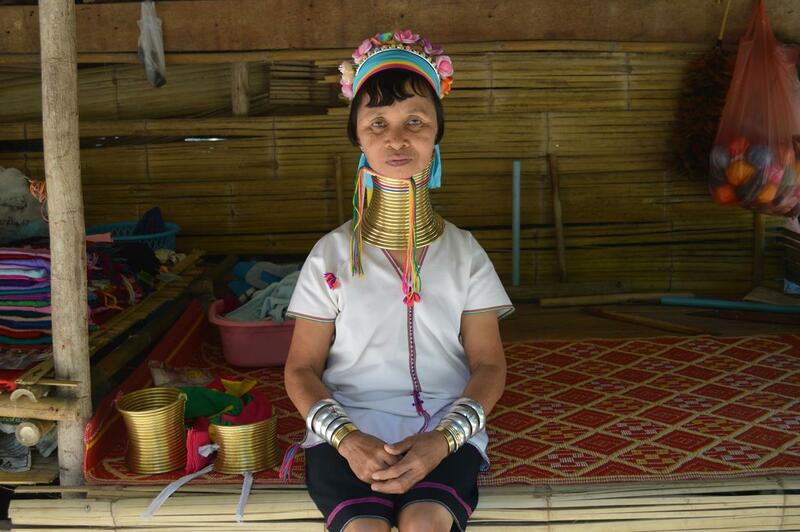 One of the tribes in the region are the Karen Long Neck tribes, known for the women’s appearance of elongated necks. The women wear heavy rings on their necks, wrists, ankles and knees mainly to stick with the traditions of their ancestors. The rings are actually pushing down on their collar bones and ribs causing an even more dramatic look to their necks. When we finally arrived to the tribe’s village we learned that there were in fact several different tribes living close together in the same village. At first it felt a bit uncomfortable to walk around the village for the obvious reason that we stuck out like a sore thumb, but after talking to some of the villagers about the things they were selling and asking if we could take pictures of them the ice seemed to break. 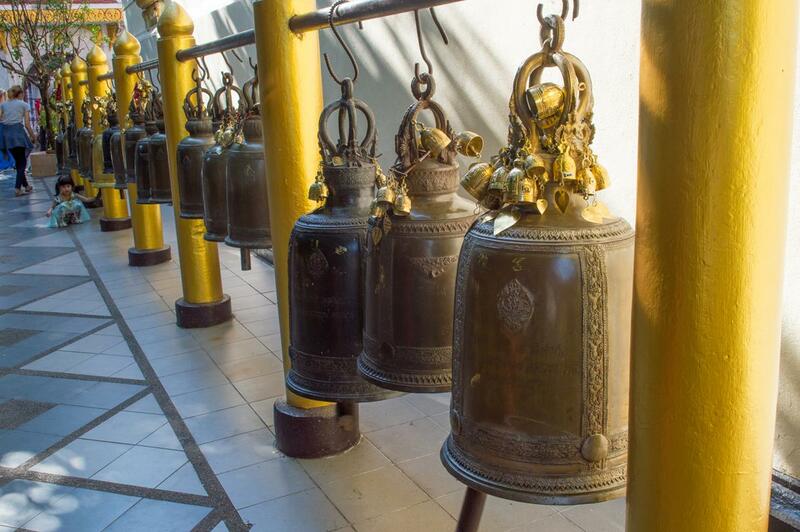 Driving 15 kilometers up the steep and winding roads of Doi Suthep, climbing 309 steps past 8 stone dragons is the energetic Wat Phra. The mixture of tourists and worshipers combine to create a frenzy of noise that made us miss out on the holiness of the place. 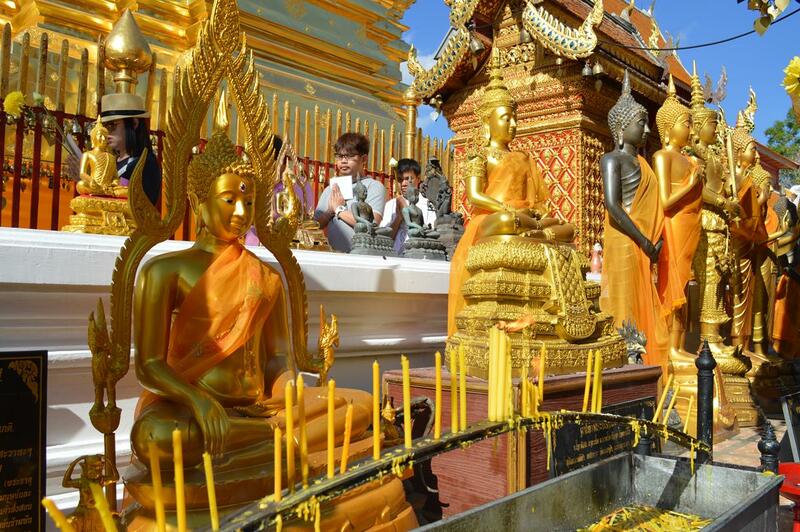 We first walked up to the Wat Phra and were pushed along in a line around the temple. When we realized that all those in front of us and behind us were holding their hands together enclosing a flower and chanting, we scurried out of the line of prayers. 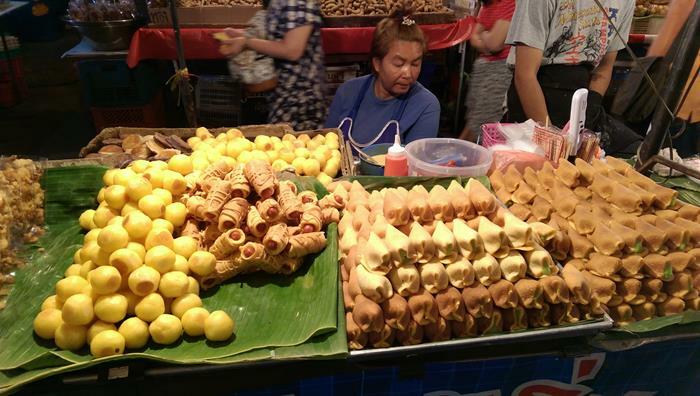 If you like shopping, even just a little bit, than you need to visit the night bazaar in Chiang Mai. There are areas that are focused on tourists where you can find plenty of options for souveneirs, but there’s also an area that’s more for the locals and we liked that part the most. We needed to find supplies like clothes (without CHIANG MAI written on it) and wanted to get away from the constant heckling sellers. It was also nice walking through the food area and selecting random snacks at will. We’d spent so much time on the outskirts of the Chiang Mai we almost didn’t have time to visit inside the city, which would’ve been a pity considering it has many temples to visit. Our favorite one was the Wat Cheti Luang, but don’t miss the Wat Chiang Man or the Wat Phra Singh temples because they’re worth walking to. One of the ways we were able to get around and see so much during our trip in Thailand was due to having a scooter. You’re missing out if you don’t rent a scooter at least once in Thailand, but make sure you know how to drive one before doing so… unless you want to be an imprint on a car. One of the things you should do when in Thailand is get a Thai massage. Since I’m not a huge fan of having strangers touch me, Pablo was the only one who got a massage and the masseuse let me take a nap on the bed next to him. 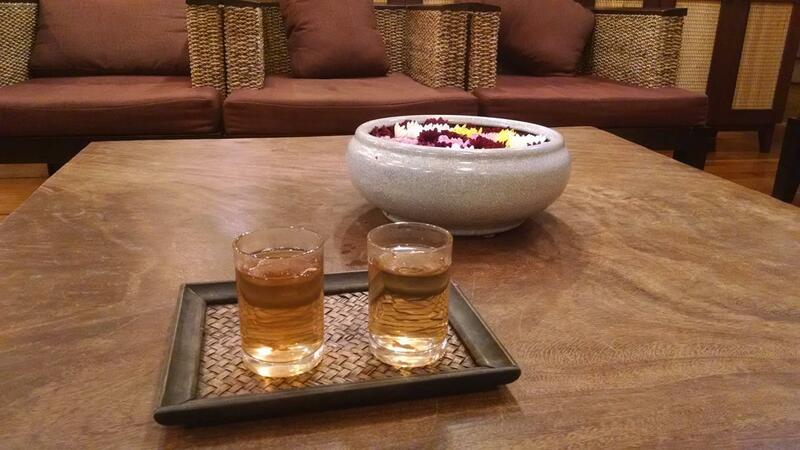 They gave us both herbal ginger tea and had Pablo soak his feet in a bowl of hot water before the massage. It was a relaxing evening for both of us. 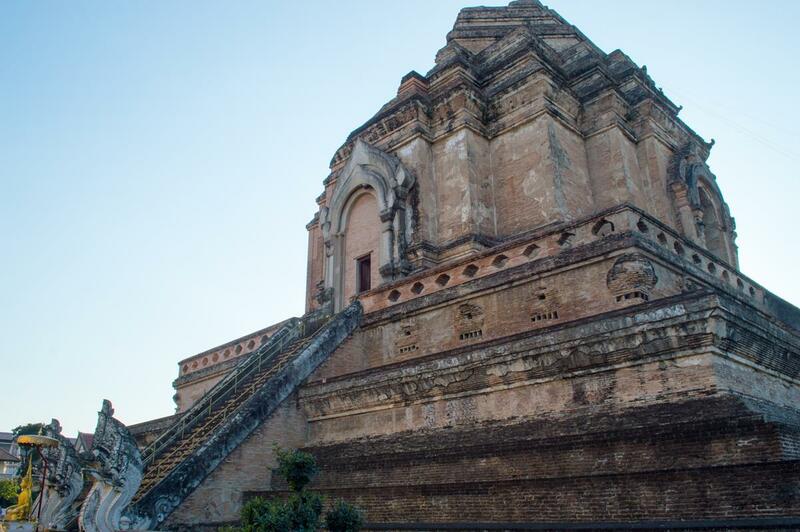 What would you choose to do while in Chiang Mai? Hi! Loved he post! Did you guys go to the tribes by scooter?